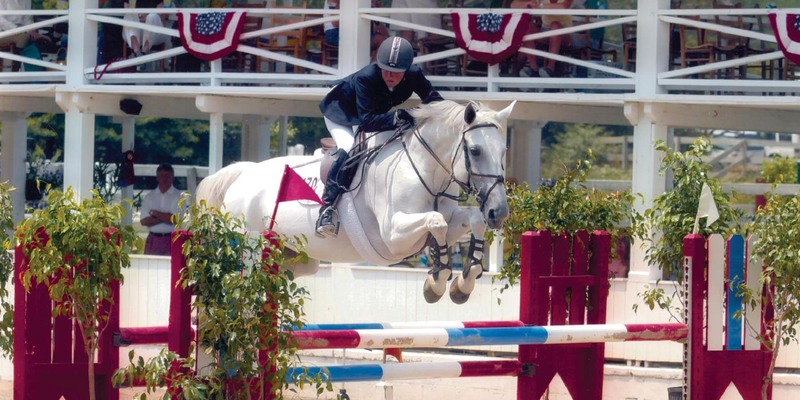 For the second consecutive year, the Blowing Rock Charity Horse Show (BRCHS) has been chosen as one of the top ten hunter-jumper shows in the nation. Being selected for this honor automatically positions Blowing Rock as a nominee for the National Hunter Show of the Year for 2019. BRCHS is the only horse show in the Southeast to receive this distinctive honor. The Blowing Rock Horse Show is solely produced by volunteers and is the primary fundraiser for the Foundation that supports the traditions of horse sports, education and many other charitable organizations in the High Country. Founded in 1995, the mission of the National Show Hunter Hall of Fame is to honor excellence by providing recognition, education and appreciation for the achievements of the horsemen and horses who have given the sport such a rich history. The Blowing Rock Charity Horse Show is presented for three weeks each summer, and has been a Blowing Rock tradition since 1923. Show dates for 2019 are June 6-9 (Saddlebred), July 23-28 (Hunter Jumper I), and July 31- August 4 (Hunter Jumper II). For more information on the Horse Show, see www.BRCHS.org.